Mette Johansson is an author, professional speaker and the owner of MetaMind Training. She worked in leadership roles for multinational corporations for 15 years before she founded MetaMind Training, a training consultancy which provides learning programmes in leadership, people and communication skills. As an authentic leader herself, Mette speaks internationally on how to become a true leader: the leader who we follow not because of their position, wealth or title – but because we are inspired to follow them. Over the past year, she has frequently been asked to deliver her keynote speech: "Authentic Leadership - Unmask The Leader Within". For more than 20 years, Mette has studied leadership, motivation and engagement. 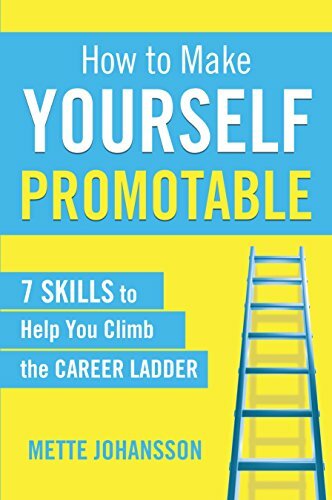 Her bestselling book "How to Make Yourself Promotable: 7 skills to help you climb the career ladder" describes some of these skills, and more. Mette is a recipient of Insight Magazine’s “50 Most Promising Women in Business” award and is currently the Chair for KeyNote – Asia’s Women Speakers, Asia’s leading directory of female speakers. Having lived, studied and worked in 11 countries, Mette is a global citizen who speaks fluently in four languages and now calls Singapore home. "Mette is an exceptional speaker, trainer and author. She has a rich background in the corporate world and an entrepreneurial energy and vision." "I can highly recommend that you contact Mette to speak on leadership that delivers better results." Several studies have showed us, alarmingly, that communication and interpersonal skills are on the decline. And at the same time, in our service-based economy, these are fundamental to running successful businesses. The reason for the decline is not surprising. On a Saturday afternoon, I booked an Uber to take my daughter from one shopping centre to the other. As I got the confirmation of the booking, my phone crashed. Too often, we are engaged in boxing when we communicate. Boxing is about winning the debate. Dancing, however, is constructive. Look out, employers: Generation Z is just around the corner! “Generation Z” (AKA Gen Z) is the latest generation to hit the workforce. The staggering costs of management gone bad In 2004, The Future Foundation surveyed more than 700 executives in 7 countries worldwide to get a sense of the real cost of poor management.